The Edward Bed Bench is both beautiful and practical, with strong wooden legs and a beautiful tufted top. Placed at the end of a bed, this bench ties the room together and gives you a solid place to sit while you get ready in the morning. 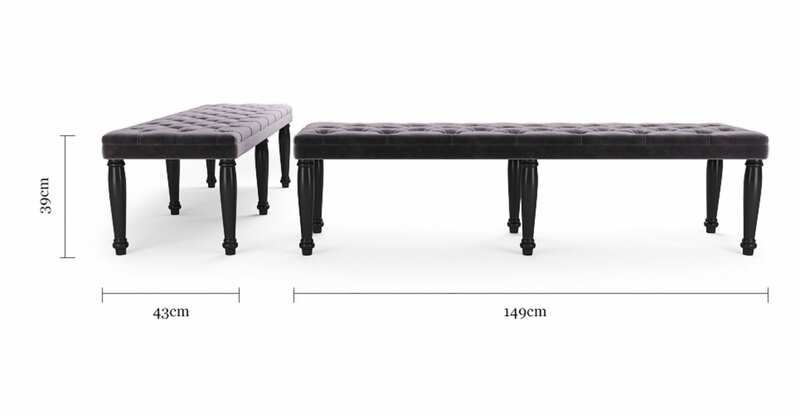 Inspired by the Chesterfield sofa, this bench is endlessly elegant. 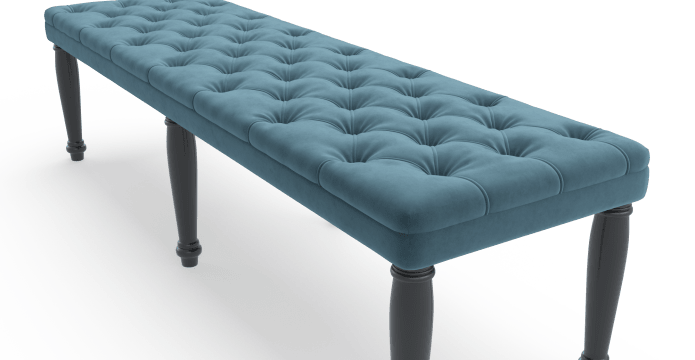 Tufted with matching buttons, the Edward Bed Bench maintains a certain class that lights up any bedroom. 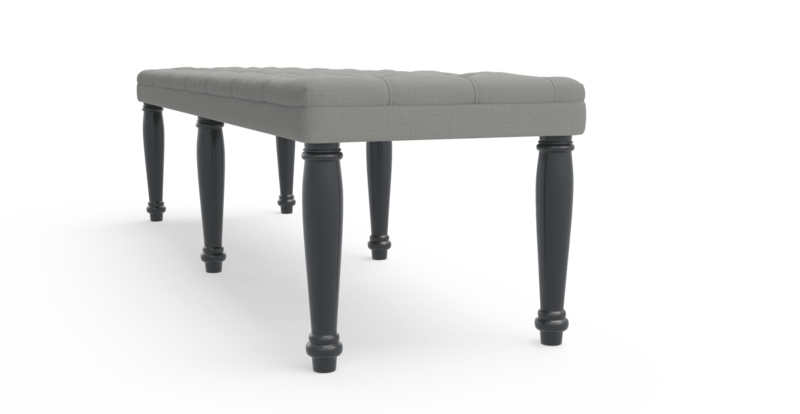 Finished with beautiful brushed wax legs, this bench is both chic and classic. Each Edward Bed Bench undergoes rigorous quality assurance testing to ensure you're receiving a product that will stand proud in your bedroom for years to come. 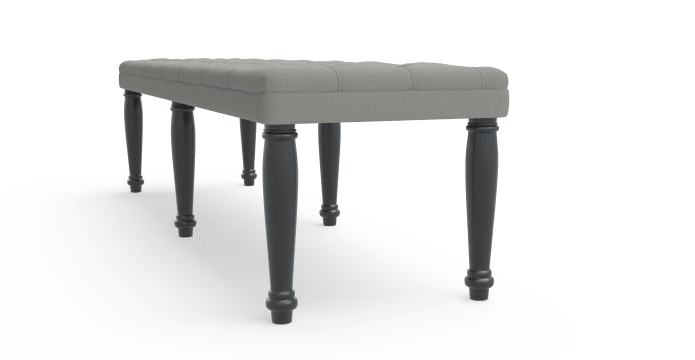 Finished with your choice of Warwick Mystere or Brosa Signature Fabric, your bench can be upholstered to suit your home. Brosa Signature fabrics exude a linen-look luxury, while Mystere brings an accessible yet plush velvet that is famously easy to clean and keep fresh. Because I have already recommended to to people who have now purchased from Brosa . I have been happy with my purchases and shared it with others , great service ,the goods are excellent and it is local with good prices . That products are quality and at good prices. 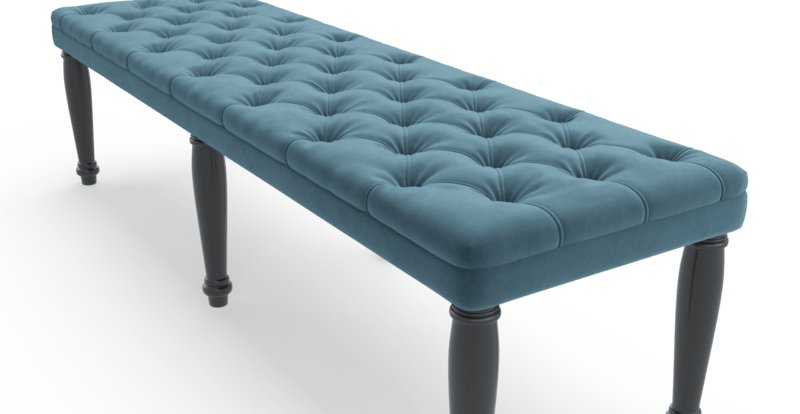 See, touch and feel our fabrics used on our Edward Bed Bench. For Free! Simply select up to 3 fabrics and add them to your cart. Delivery is on us.